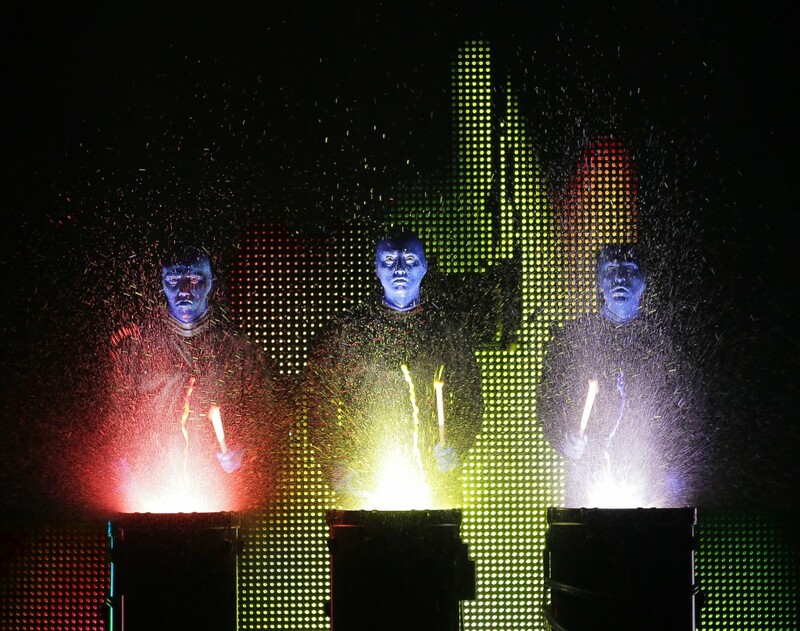 Jesse Nolan talks the Blue Man Group and its upcoming Vancouver show. Three years of working on the Blue Man Group show has changed Jesse Nolan’s perspective on the world. There is something about the mysterious Blue Man character that people are attracted to. Nolan has been interested in the show since he was 12 and saw it for the first time in New York City. “There’s a sense of exploration,” he explained. “When you watch the Blue Men move and interact, they’re always exploring. There’s a hunger for learning and knowledge.” Nolan said that children find them especially compelling. The Blue Men also love to involve the audience in their shows. There are a few signature things that they do in every show, including climbing over the theatre seats up the rows. They literally take the show into the audience, and Nolan said that this creates an interesting atmosphere. “There’s a sense of wonder coupled with tension,” he said, as the audience is always wondering what’s going to happen next. “They have a sense of purpose, and the audience is trying to connect and figure out why,” said Nolan. This show has a very heavy emphasis on technology and the role it plays in our lives. For example, the Blue Men interact with “Gi-pads,” huge eight foot iPads that allow them to comment on the influence of technology. “The outcome is thought provoking or comedic,” said Nolan, explaining that, compared to previous iterations, there is more video content, lights, LED screens, and even some wearable technology. One thing that never changes, however, is the mess they leave behind on the stage. Of course there is splattered paint everywhere as they hit drums covered in it, but the Blue Men also play with food. “It ends up being a mixture of paint, food, and sweat,” laughed Nolan. The content of each show comes together through collaboration, and the founders (Chris Wink, Phil Stanton, and Matt Goldman) are also still involved from their base in New York along with a team of musical directors and designers.